If you are a big football fan you will enjoy Shoot and feel a great deal of nostalgia when you see the images of famous players from previous days. There are 5 reels and 50 pay lines and you will have no problem recognizing Maradona, George Best, Kevin Keegan and Johan Cruyff spread over the reels. 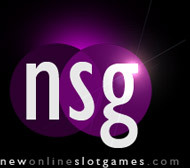 The game features Wilds and Scatters and has three bonus rounds for you to play. Spin 3 or more and you are into the Trade ‘Em bonus round and 12 playing cards are presented. You then select 4 of them to win some coins. You may also gain entry into the Free Spins round and at the press of a button you are informed how many free spins you have won. This can be as many as 35 and is coupled with a win multiplier of 2x. In the Magazine Bonus round you are presented with 12 magazines in deference to the very popular Shoot! Magazine which this slot is based on. Each magazine rewards you with cash prizes but watch out for the Red Card – pick this one and you are off! 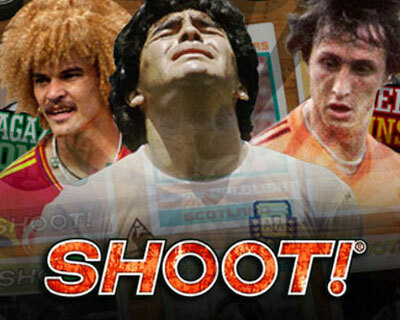 Shoot slot has some very good bonus rewards and will definitely appeal to soccer aficionados, particularly those with fond memories of great games of the past!